The known Sewall genealogy begins with William Shewall of Warwickshire, England. Very little is known about William. He was probably born between 1510 and 1520. He married a woman named Matilda Horne, the daughter of Reginald Horne and Margery Lee of Shropshire, in the early 1540s. His death is unknown. According to some ancestry.com trees, he was the son of Sir John Sewall b. 1495 and Elizabeth Stewart b. 1460. Anyone besides me have a problem with this? Not only is Elizabeth too old to be the mother of William there is no proof that his father's name was John, never mind a Sir John Sewell. I have also seem that William might be the son of a Richard Sewall who lived in Coventry at the right time. There was also a man named John Sewall, a tanner, who was a contemporary of William, were they brothers? Genealogist have been able to trace Matilda Horne's family back quite a ways. Much of what we know about Matilda and her ancestors comes from what is known as The Visitation of Shropshire, done in 1623. The visitations were done between 1530 to 1688 by the Kings of Arms. The purpose of the visits was to regulate and register the use of coats of arms. 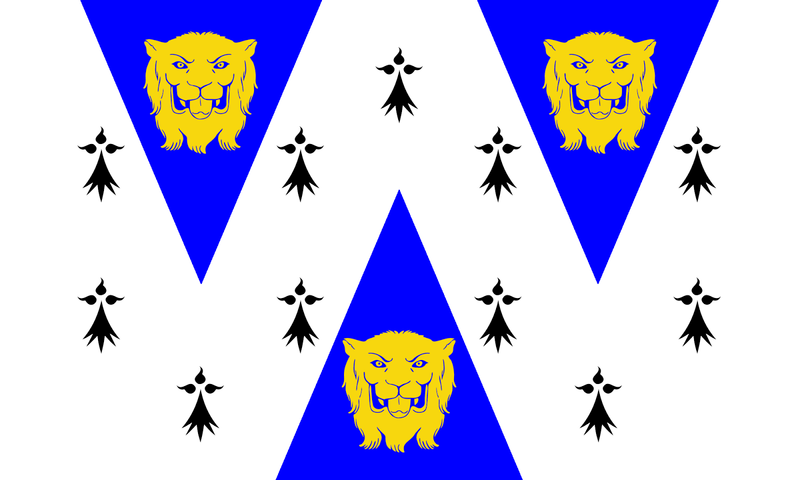 The heralds would visit each county and record not only the arms in use, but they would also chart the families pedigree. Families who claimed the right to armorial bearings were required to bring proof of that right to be scrutinized by the heralds. This proof would include some type of pedigree. We have to have faith in the accuracy and truthfulness of these long ago ancestors. In some cases the pedigrees were inflated, if not downright made up. According to the website, medievalgenealogy.org, "While some of the heralds were pioneers in the systematic application of record evidence to genealogy, others were far less skillful and far less scrupulous. Oral information from the family, if unsupported by documentary evidence, can clearly be relied on safely for only one or two generations." That being said, when you look at the visitation for the Horne family, there are no dates listed for the ancestors and many names are unknown. So, it it reliable? I don''t know. 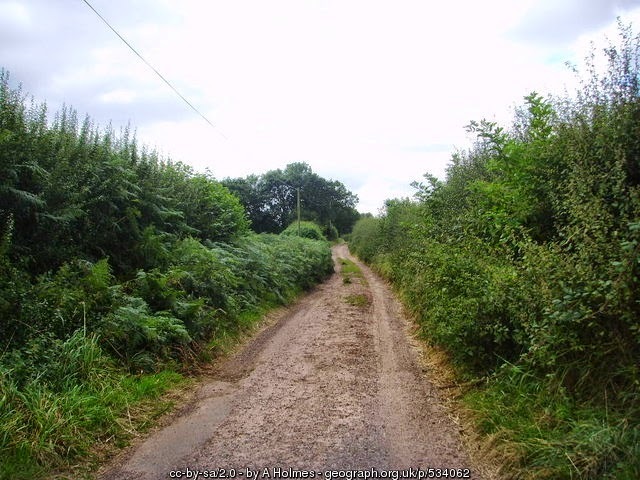 Matilda's father Reginald was born about 1490 in a village called Pikesby in the county of Shropshire. This area of Shropshire is and has always been very rural. The villages are completely surrounded by farmland. Pikesby is not on any of today's maps, but Reginald's son John, Matilda's brother, lived in a village called Childs Ercall. Just to the northeast of this village is a tiny hamlet called Pixley. Is that the site of Pikesby? It seems likely. Matilda's mother Margery Lee is also given an estimated date of birth of 1490 in White Church, Shropshire. Nothing is known of her ancestry. Reginald's parents were, according to the visitation, John Horne and Margery Morton. Both have an estimated birth year of 1464. John was probably born in Pikesby and Margery was born in Gnosall, Staffordshire some 13 miles to the west. I am not going to take the ancestry any further back than this, but Margery Morton has a pedigree going back into early medieval England based on her possible relationship to the Puleston Family of Emral, Wales. However, this relationship has not been proven. Beware when researching this family on ancestry.com as there are many trees with dubious dates for births and deaths. William and Matilda had two son who outlived them; William and Henry. The date of death for William and Matilda are unknown. Both of their sons were very successful businessmen. William owned a public house and Henry was a linen draper. Both were Mayors of Coventry. Lucky for us, this means that there is some documentation for both of them. William was a Draper as well as a Vintner, a retailer of wine and spirits, in Coventry. He married Ann Wagstaff in 1581. He was one of Coventry's richest men when he died in 1624. Henry Sewell was born about 1544 in Coventry, Warwickshire. He married Margaret Grazebrooke by 1575. Henry was named in Margaret's father's will. Henry was a linen draper by trade. A draper dealt with cloth. He was apparently quite successful in business as well as in politics. He was made free of the Coventry Drapers Company in 1566, which means he had completed his apprenticeship. He was made Master of the Company for the first time in 1573. He served as Master at least eight times, possibly ten. Henry also served as Sheriff of Coventry 1581-1582. 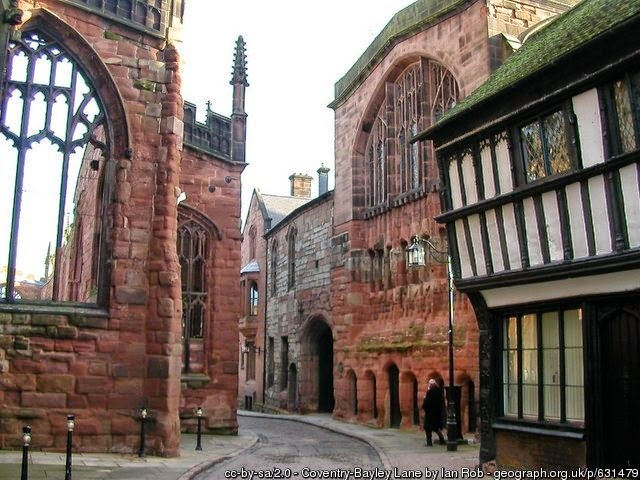 He became a member of the city's Great Council of Coventry beginning in 1585 and remained a member until his death. He was an Alderman in 1597 and eh was elected twice to serve as Mayor of the city of Coventry, first in 1587 and again in 1606. Henry traveled to London multiple times in an official capacity on behalf of the City of Coventry. In 1621, at the great age of 77 he was chosen to represent the city in the house of commons in parliament, this was the first parliament called by the King since 1614. King James was in his last years of his increasingly unpopular reign. Parliament was fighting back against his assertions of his divine right to rule and in 1621 issued an official declaration known as the Protestation of 1621. The House of Commons reaffirmed their right to freedom of speech in response to King James assertion that they had no right to debate foreign policy. This did not go down well with the King who had the Declarations principal author arrested and immediately dissolved Parliament. Henry and his wife Margaret would have had a very busy life. They were known to have lived on Bayley Lane in the heart of Coventry. The St. Mary's Guildhall was also on Bayley Lane. Henry would have spent a great deal of time there as the Council meetings were held there. 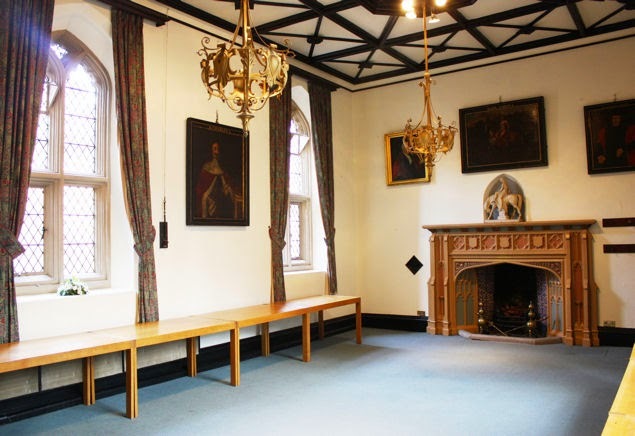 Mary Queen of Scots was believed to have been kept for a time in the Draper's Room at the Guildhall during her lengthy imprisonment. Margaret gave birth to at least four children, two sons and two daughters. Their eldest son was named for his father. That appears to be all they had in common. Henry Sewell was about 80 years old when he finally felt the need to write his will on 16 January 1624. He had amassed quite a portfolio of property in and around the city of Coventry. In his will he gave the bulk of his estate to Margaret to hold for the rest of her life. Because of a rift in the family, his heir, Henry Jr., would not inherit any property until after the death of Margaret. He left his home on Bayley Lane to his youngest daughter Margaret. Henry died on 26 April 1628. He was buried in the Draper's Chapel of St. Michael's Cathedral which was on Bayley Lane. The Draper's Company had at one time paid a priest to say daily masses in the Chapel. 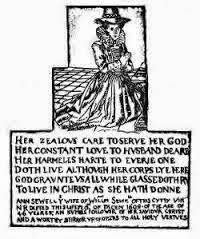 His sister in law, Ann Wagstaff Sewall was buried there in 1609 and had a brass attached to her tomb. This was all destroyed when the Cathedral was bombed during WWII, but a drawing of her brass survived in an old book on Coventry. Margaret wrote her will shortly after Henry died. She too lived to a great age, being over 80 when her will was written. She first asked to be buried in the Draper's Chapel near her husband. She then made a bequeath to her three youngest children. Her daughters were both married to 'Gentlemen' so they seem to have married well. She next forgives her son Henry, saying that had offended her many times, but hoped that he would be good to his brother and sisters, calling on Almighty God to give him a heart. She left him 12 pence in money, a pittance. It seems her forgiveness did not extend to her pocketbook. Margaret died four years later, her will was proved on 13 June 1632. By then Henry Jr. was already making plans to immigrate to New England.